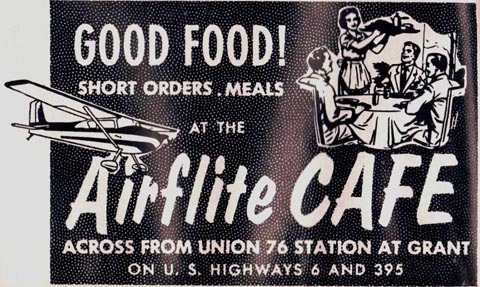 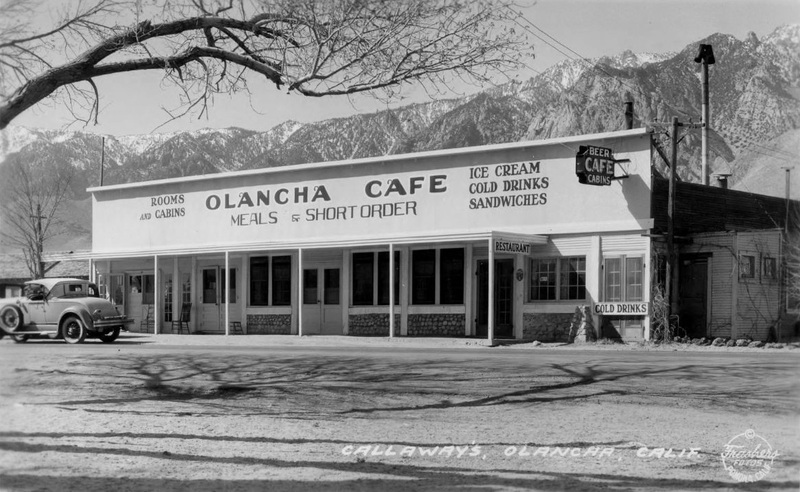 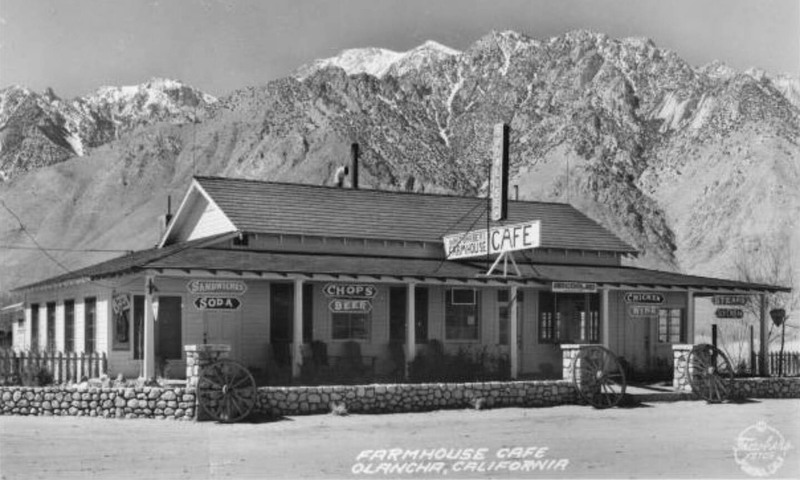 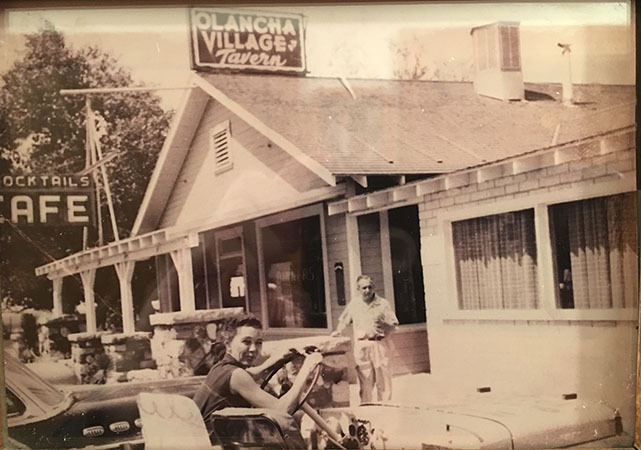 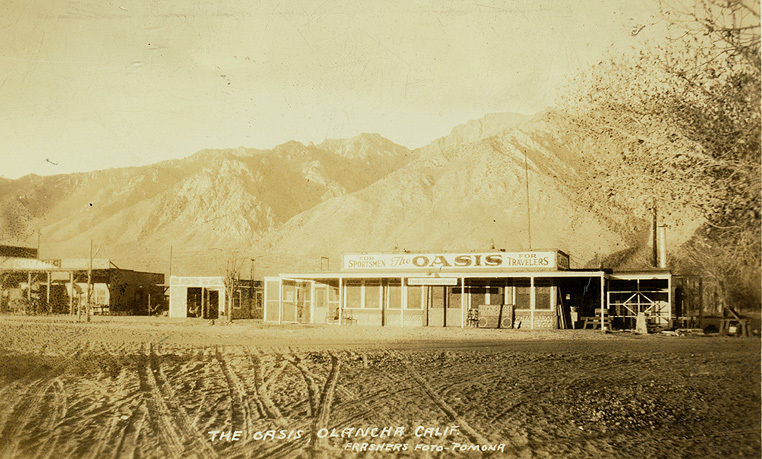 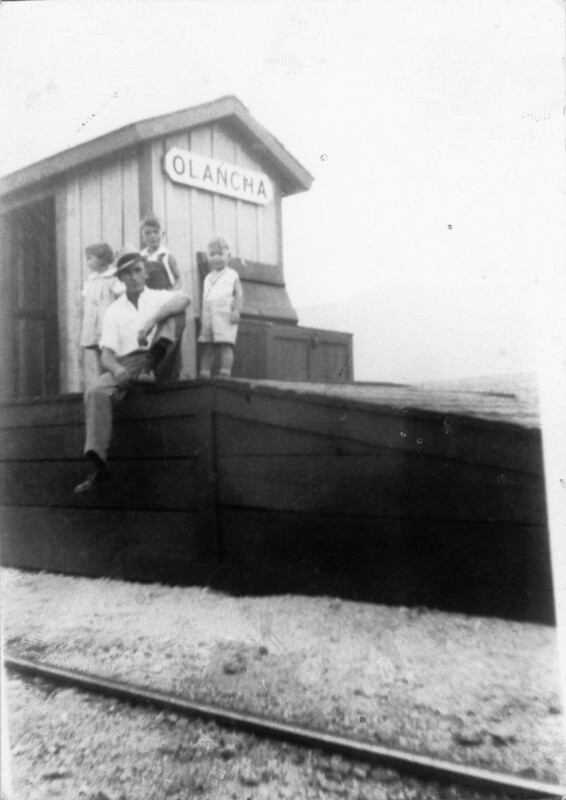 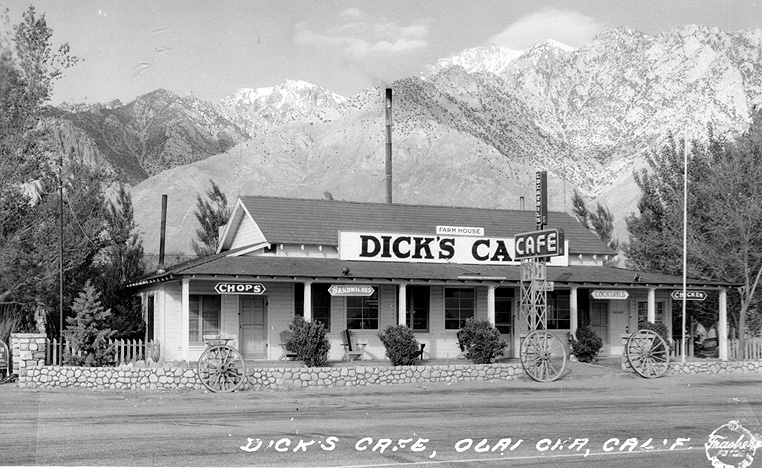 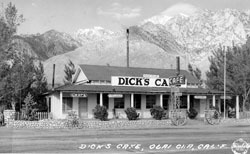 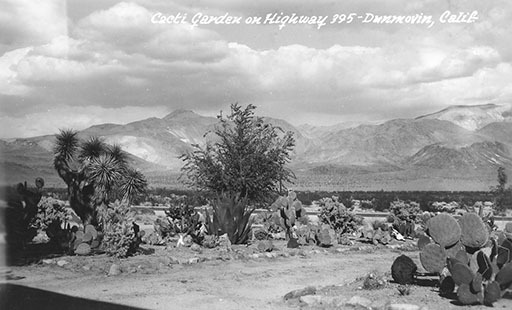 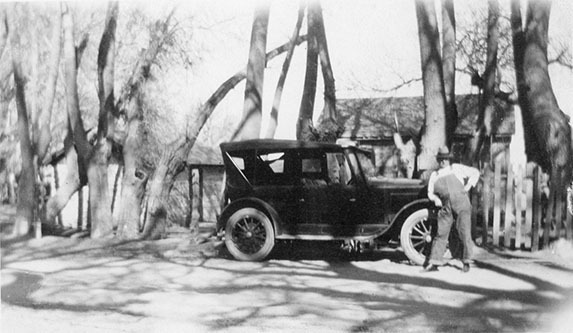 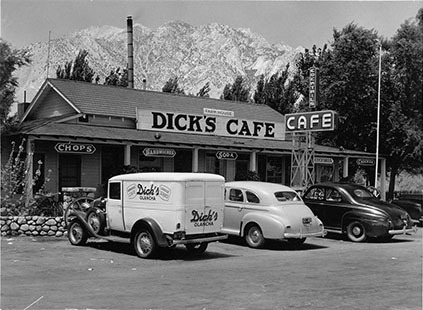 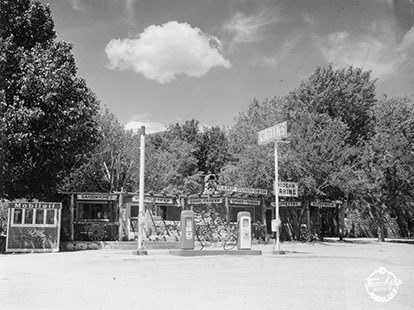 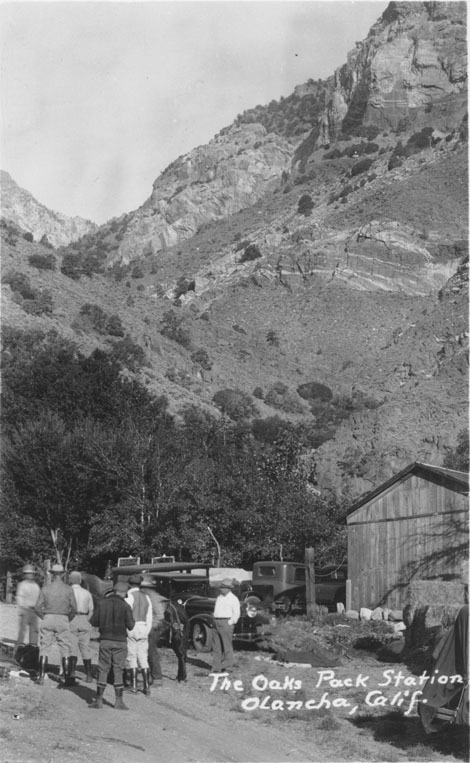 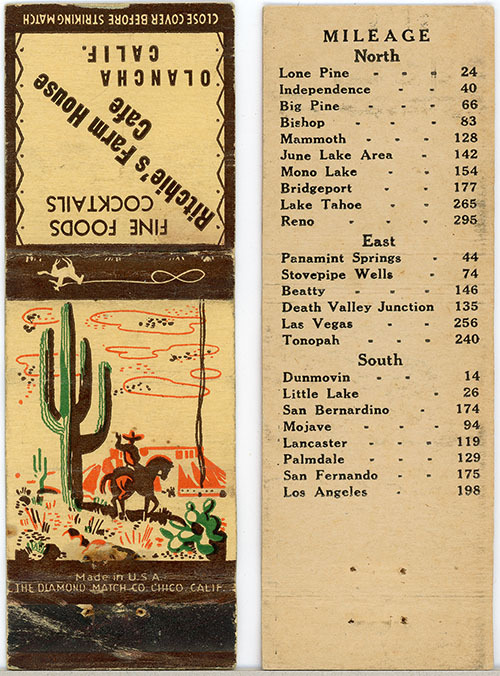 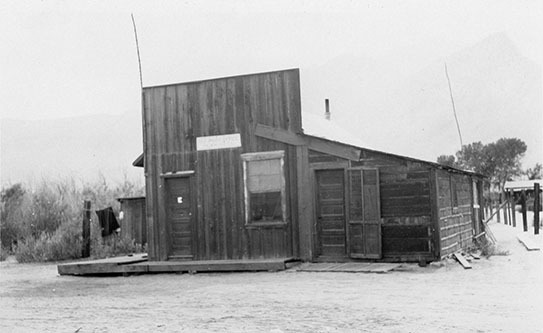 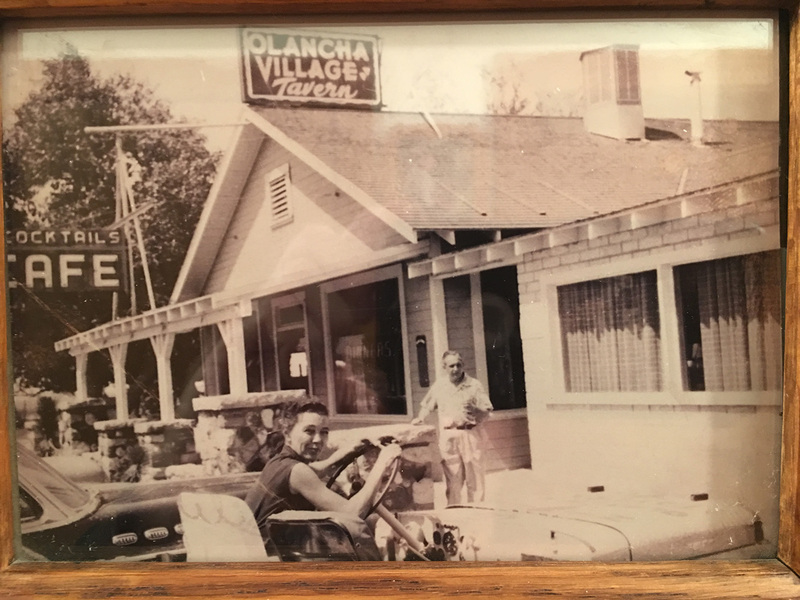 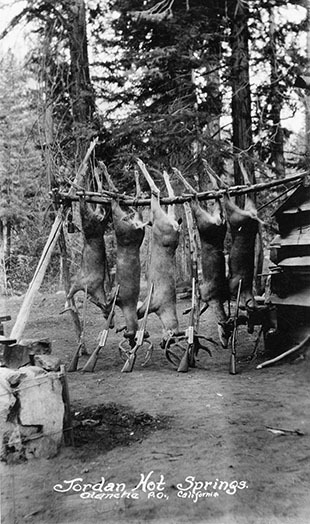 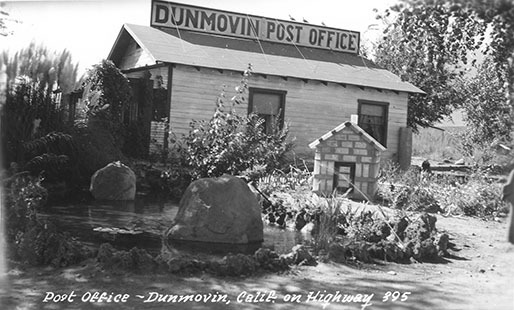 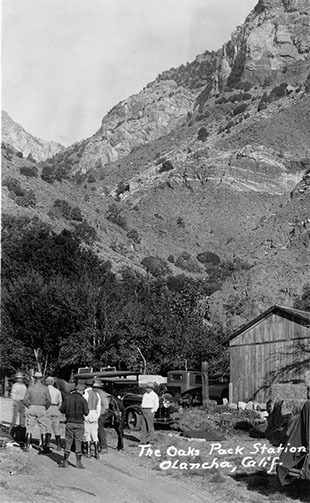 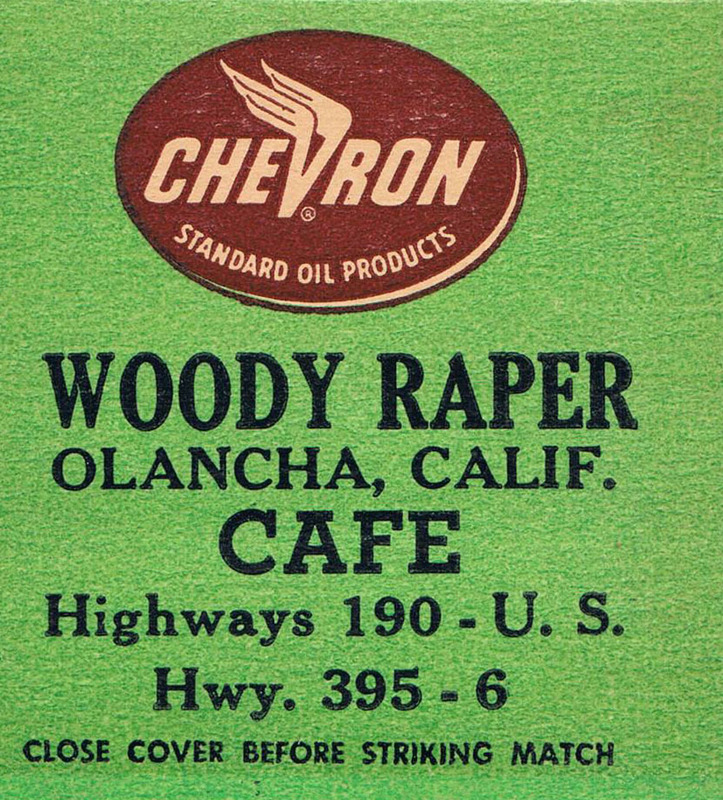 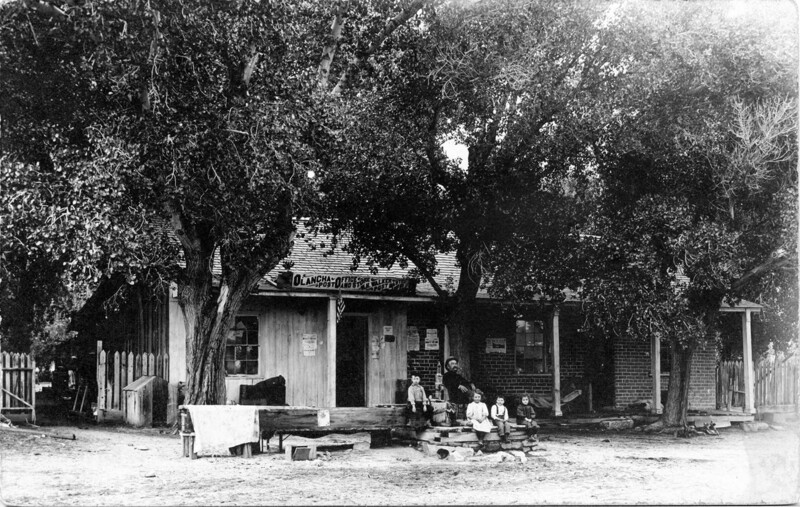 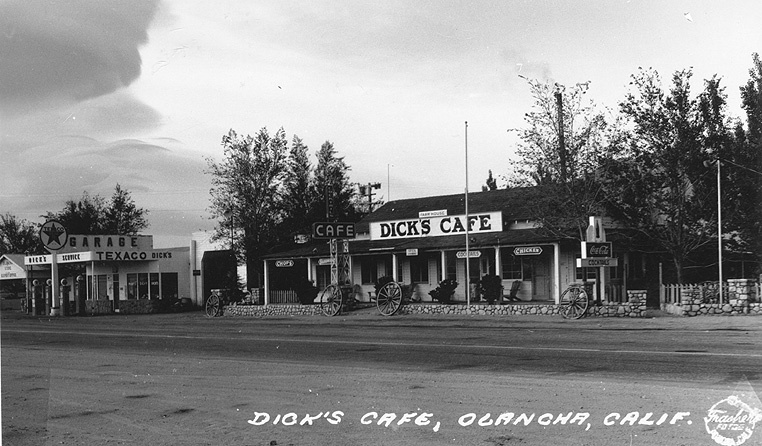 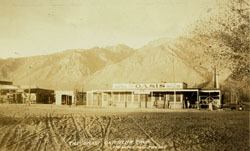 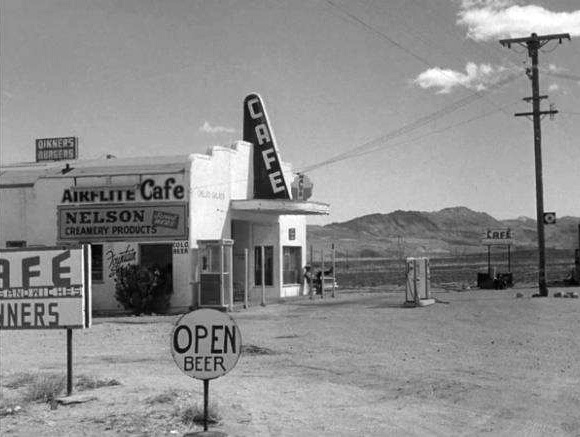 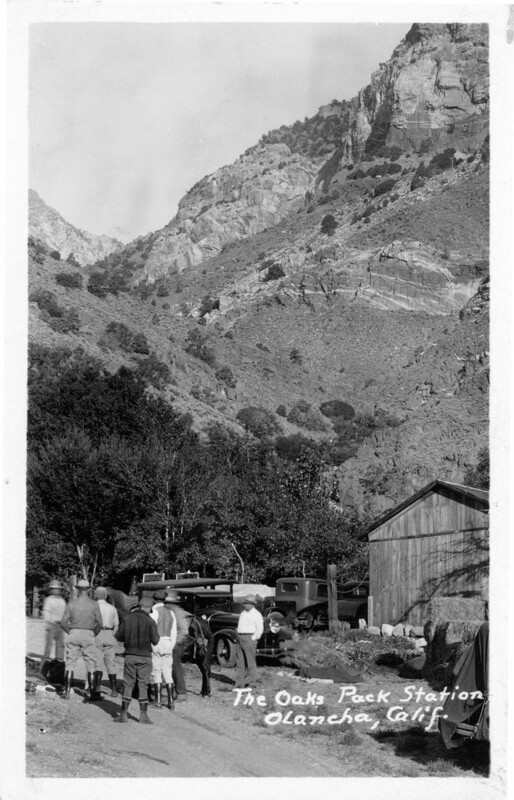 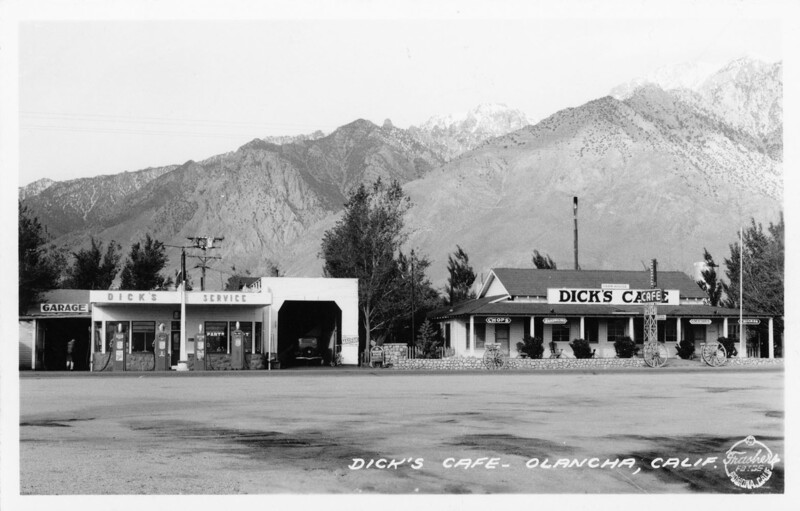 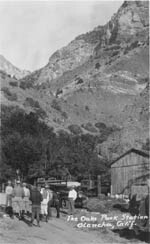 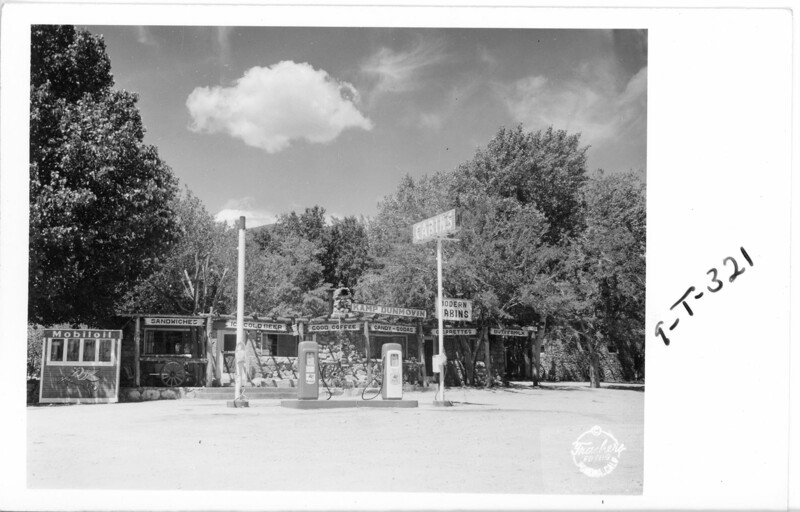 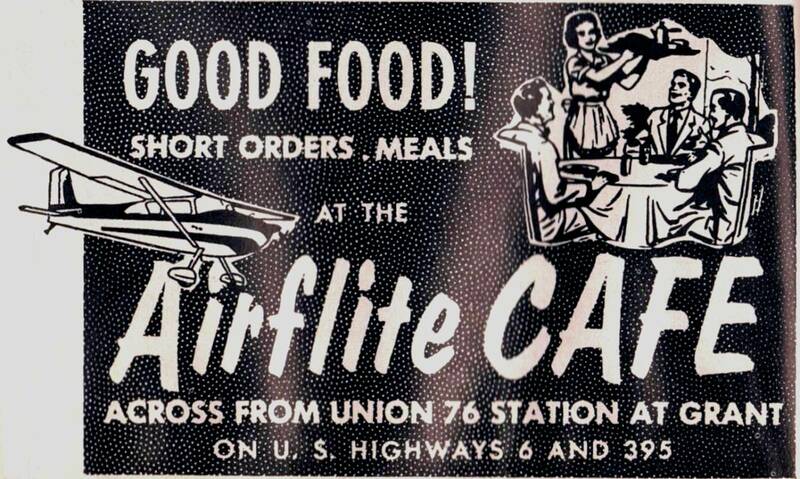 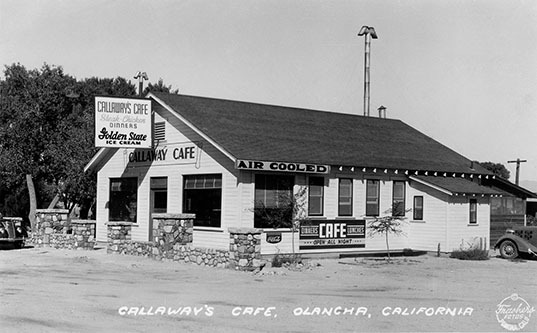 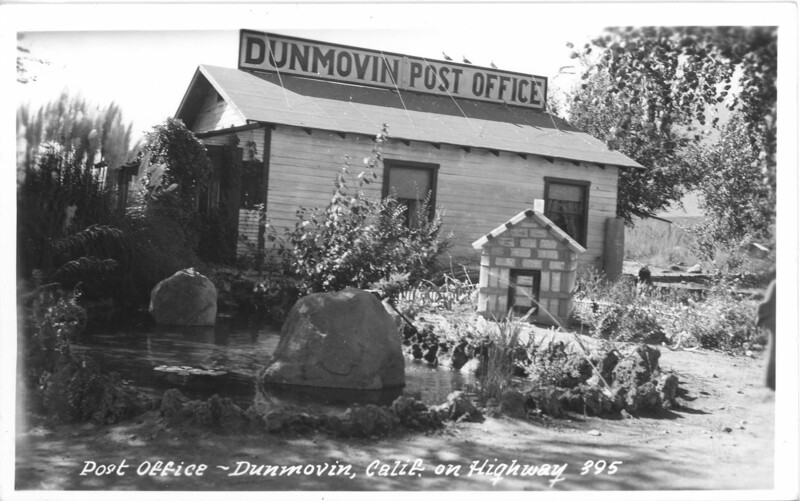 Olancha, The Oasis circa 1920s. 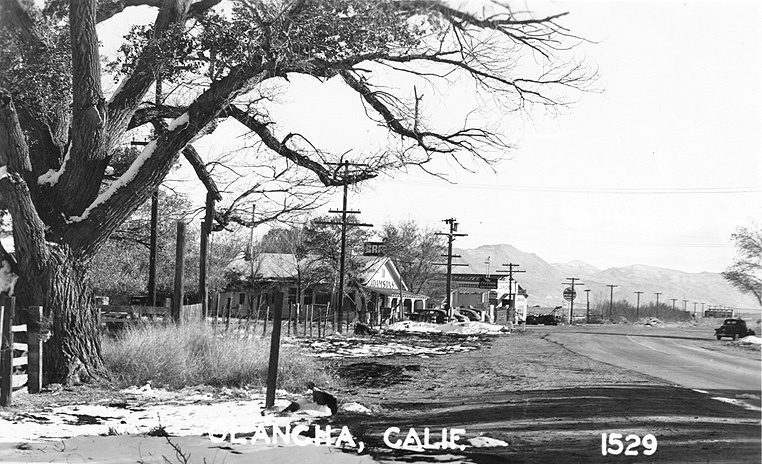 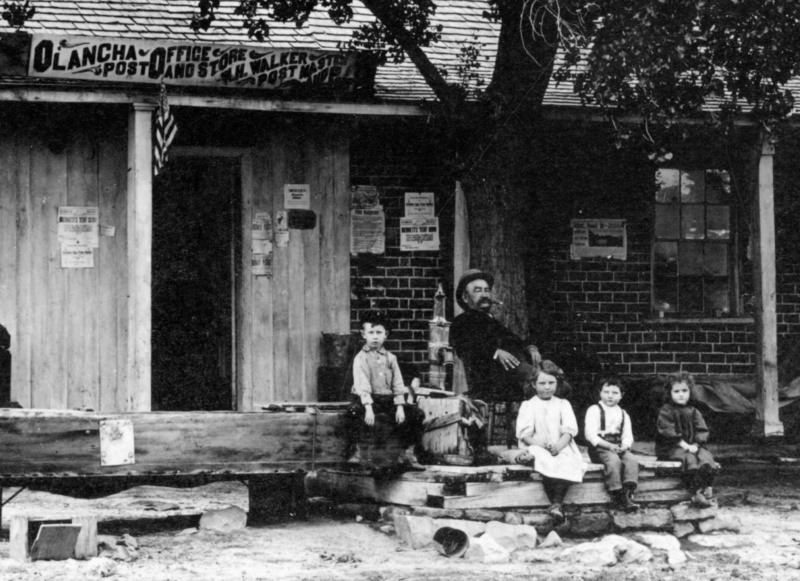 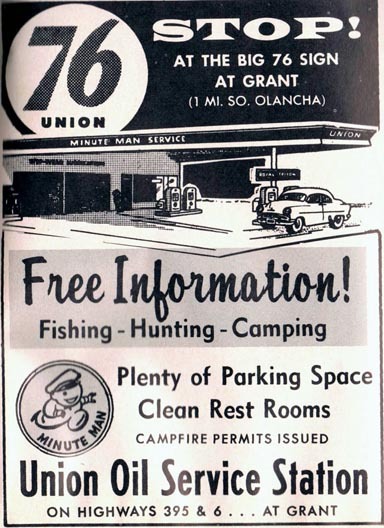 Olancha Post Office and Store residents. 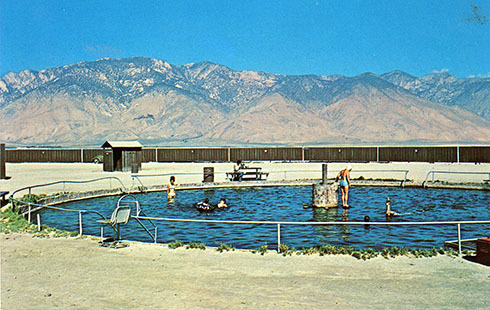 Dirty socks is an unusual name for an equally unusual swimming pool. 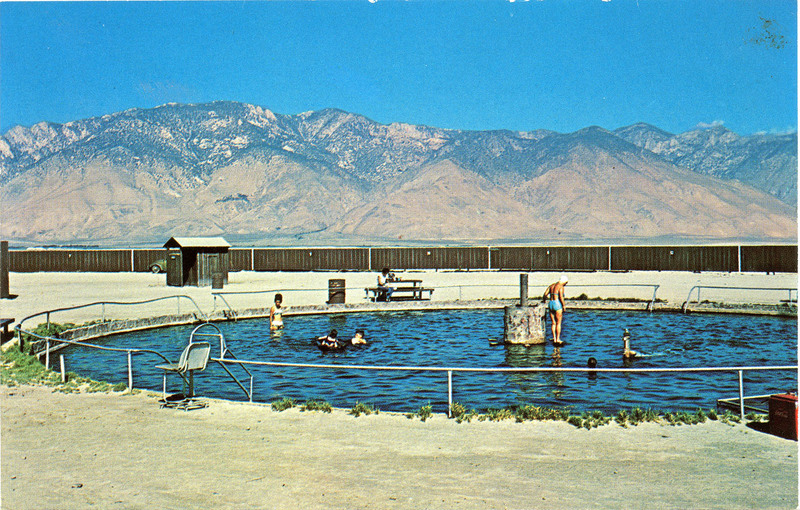 Water from an Artesian well on Owens dry lake flows continuously into the pool. 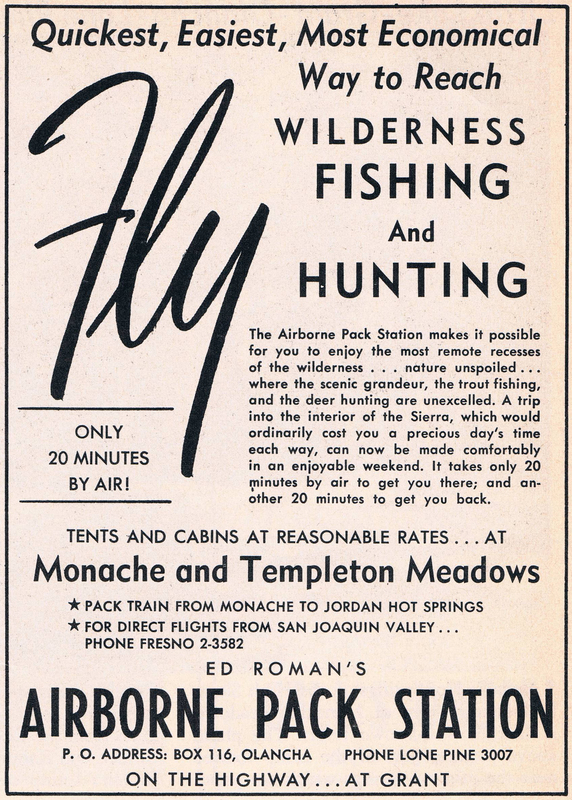 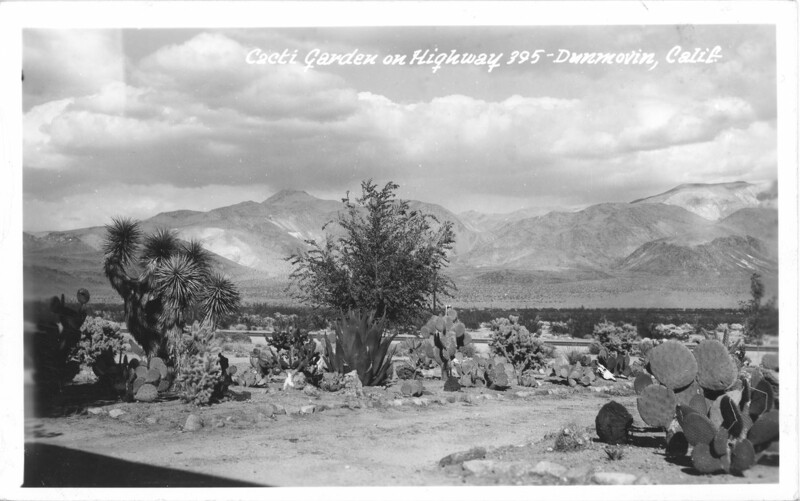 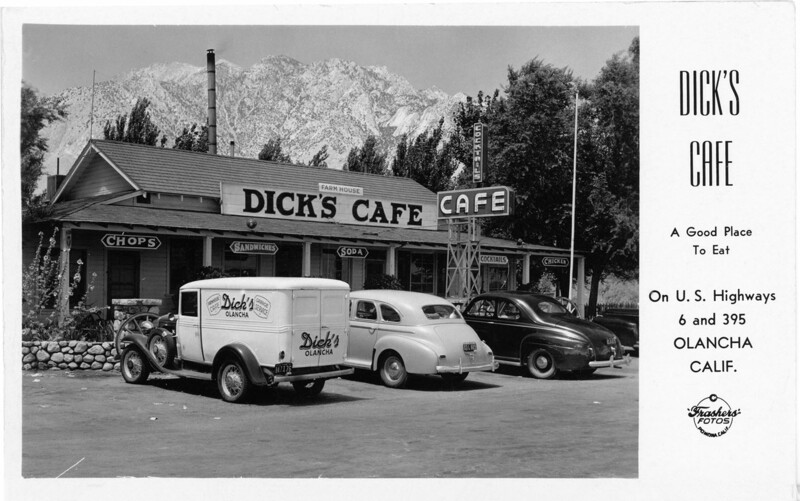 The name originated from the hanging socks of miners who came from the hills to wash. Inyo County maintains the pool (or doesn't) and adjoining camping and picknicking area. 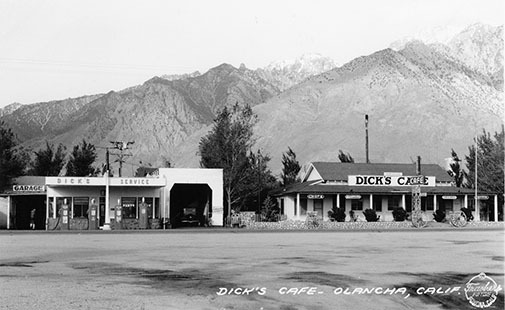 Dirty Socks is 5 miles east of Olancha, CA. 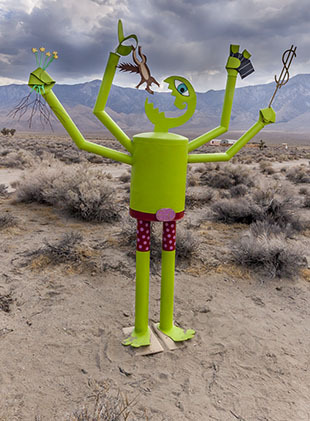 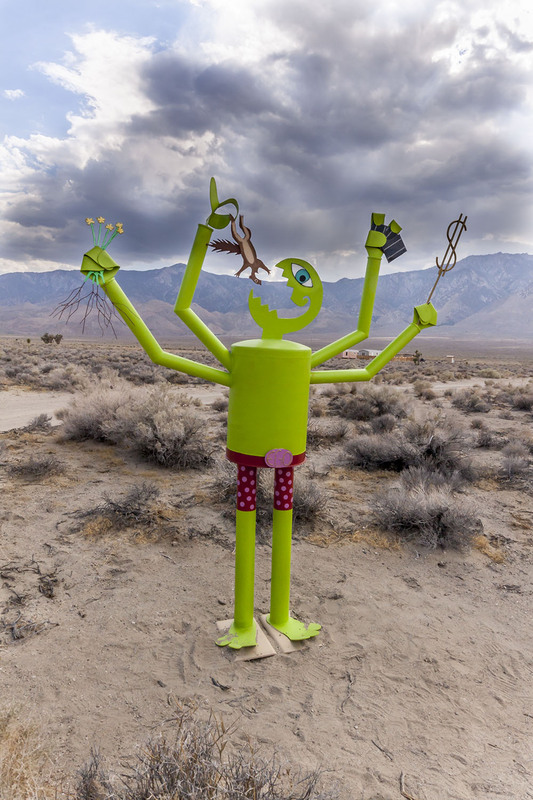 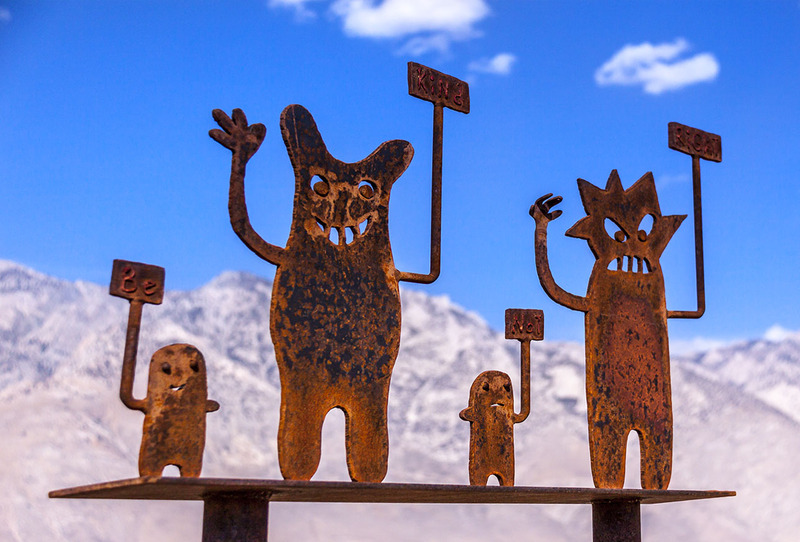 Jael Hoffman - the "Land of Ono"
Jael Hoffman's Metal art just south of Olancha on the west side of U.S. 395. 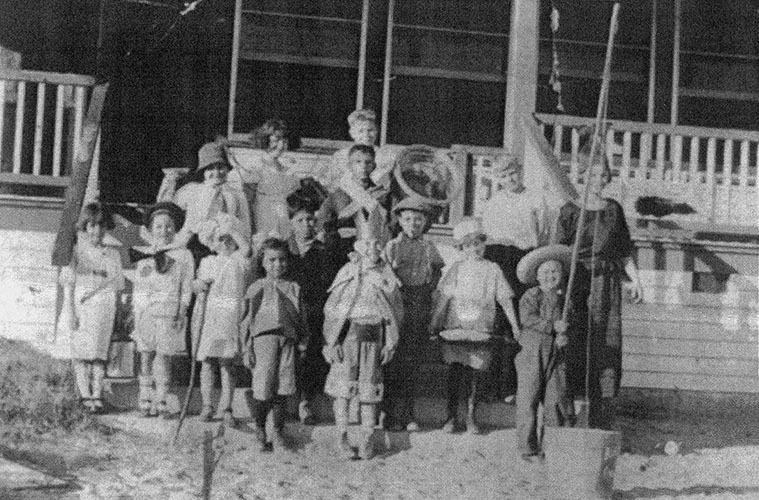 Cartago School in 1922. The school, long closed, remains today boarded up and only a reminder f the past. 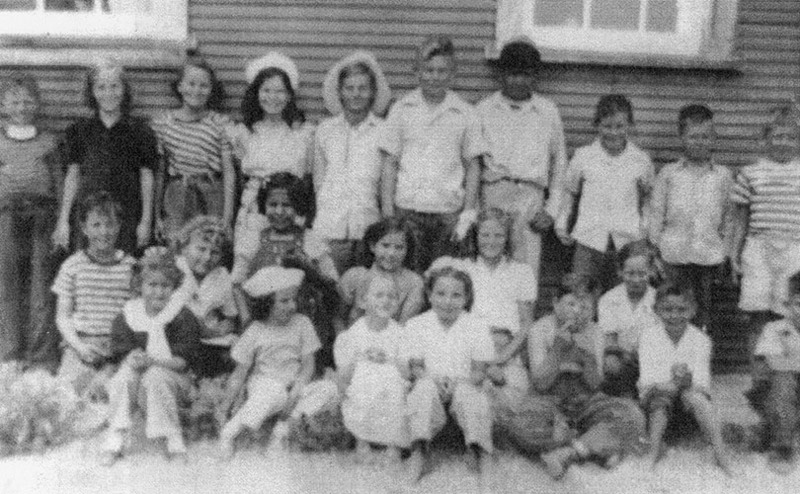 Marjorie Chance Gillis is the third child from the left in the center row and is dressed as "Bo-Peep." 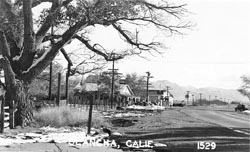 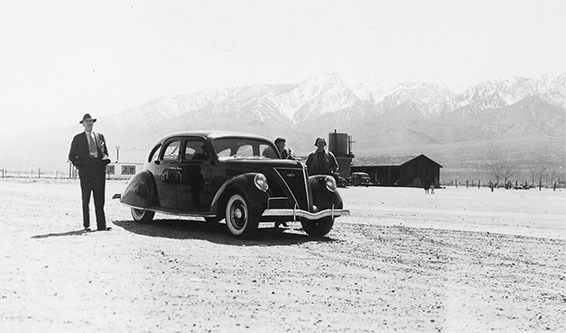 Olancha School in 1944 - The one teacher for this school was Mrs. Baker. 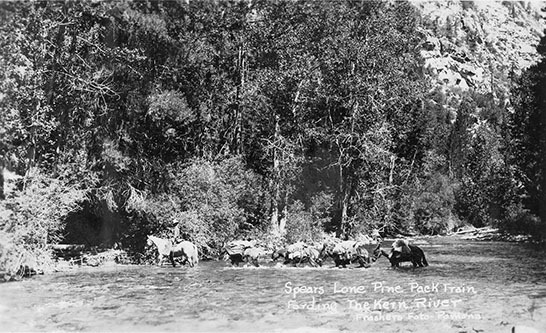 Barney Spears pack train, out of Olancha, fording the Kern River. 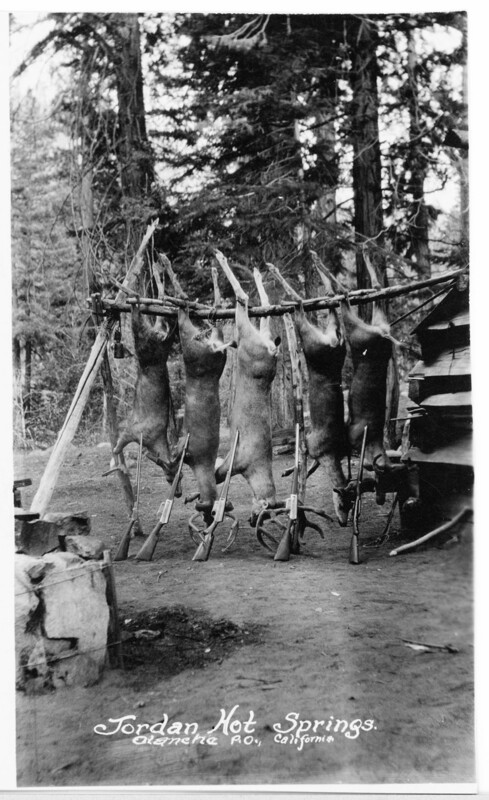 Owned and operated, at this time, by Robert K. Brown and Annabelle E. Pietschman-Brown. 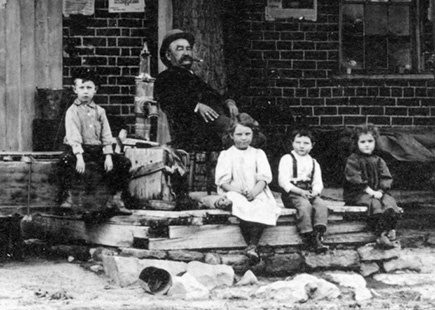 Steven Lewis' great, great, grandparents.